The Internet has been a breeding ground for controversy from the start. Part of this is a result of the fact that the Internet is the great neutralizer; it empowers everyone to have a voice. As the first decade of the new millennium ends, let’s examine some of the most infamous and scandalous events that started, happened, and/or escalated on the web. If we missed something, tell us in the comments and let’s have the last great Internet controversy of this decade. When hackers gained access to a server used by the Climatic Research Unit at the University of East Anglia, they leaked over a thousand emails and other documents that call into question much of the data that has been used to support climate change models and predictions. This controversy is still ongoing, with one side calling it a smear campaign, and the other, asserting that it shows collusion among scientists to manipulate data. Some have even begun to contend the validity of man-induced climate change. The situation challenges the reputation of the scientific community as a whole, and whether this is an isolated incident or rampant practice among all fields of science. Censorship has always been a hot button issue in society. 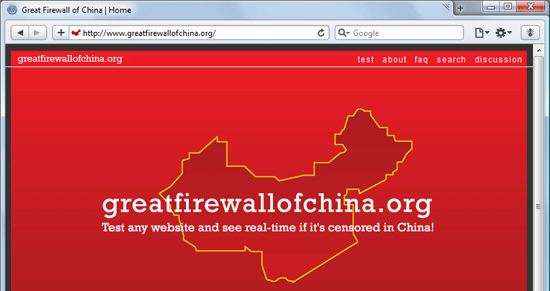 China is probably the most notorious country to practice strict online censorship garnering the moniker, "The Great Firewall of China". Other sites have cropped up to try to get around the censorship and provide access to blocked sites. There are also sites that let you test whether your site is blocked. Censored material includes sites that incite Chinese citizens to resist or break their constitution, criticism of laws or regulations of the Chinese government, sexually suggestive material, talk about gambling and violence, and more. The censorship has come under fire from governments around the world. President Obama has openly criticized China’s censorship programs. The biggest event that brought the situation to light occurred during the recent Beijing Olympics, where foreign journalists’ ability to report freely was blighted. In the spring of 2009, a number of authors and site users were outraged when they learned that Amazon had stripped the sales rankings of thousands of gay and lesbian oriented books on their site. This meant that books aimed at gays and lesbians would not be able to show up on Amazon’s search. The issue was proclaimed as a technical error that affected more than 57,000 books in other categories. Amazon issued an apology and restored the sales rankings. Google Street View takes photos while driving through various towns and cities around the world, creating an alternate view within Google Maps. That also means they’re snapping photos of people, often on their private property, and sometimes in not-so-flattering situations. While so far Google has prevailed in lawsuits targeting the service, it does raise a number of interesting privacy issues. When Google announced in 2004 that they wanted to index the content of millions of copyrighted books from university libraries as part of the Google Books project, publishers and authors took to protesting the decision by claiming copyright infringement. In 2005, a group of publishers and authors, including Penguin and McGraw-Hill, sued Google over the project. A settlement was reached where users will be able to purchase out-of-print books in digital format through Google or access them in subscribed libraries and universities. The settlement has been given preliminary approval, though final approval is still pending. The prevalence of Net Neutrality is a big concern to people who use the Internet. In the U.S., net neutrality is practiced universally though there are no laws in place to guarantee that it remains that way. 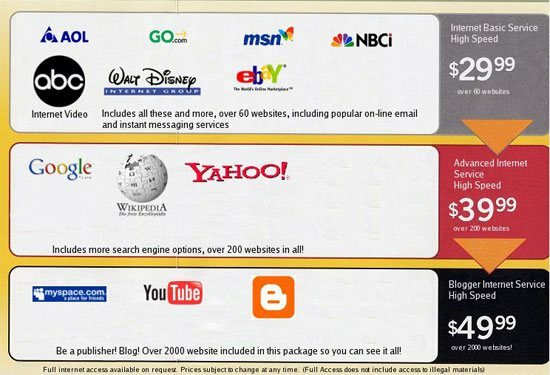 Nothing prevents Internet Service Providers (ISPs) from charging consumers different rates based on the sites they visit or the services they use. There have been five different bills in the U.S. Congress over the past few years, and heavy lobbying by corporations on both sides of the debate. So far, no laws have been passed regarding net neutrality. For the most part, many technology bloggers and other sites have come out in favor of protecting net neutrality. Full disclosure: the loss of net neutrality affects websites such as the one you’re reading now. Help us by reading up on the issue and being proactive in voting for government representatives that support your rights to a free Internet. Bandwidth throttling is a common practice among some ISPs to restrict excessive consumption of service resources, specifically when they’re using file-sharing services. ISPs proclaim that it helps ensure all their customers have reasonable bandwidth access, but critics assert that it’s unethical and unfair to consumers that have to pay the same price for less service. In 2007, Digg users posted the encryption keys for HD-DVD. Digg took the keys down on advice from their legal team. Digg’s users revolted, posting links to the codes and voting them up to the front page. In the end, Digg listened to its users, stating they’d rather do what their users wanted, even if it meant the site would be shut down. MySpace has long been popular with teenagers. Underage children use the social networking site to share photos, post videos, and document their events in their lives. At one point of MySpace’s existence, adolescent users could make their profiles public, accessible to anyone. Parents, and those concerned with child welfare, were outraged when incidents emerged of adults preying on young users of the social networking site. As a response, MySpace took measures to protect users under the age of 16 by making site adjustments such as restricting anonymous viewing of their user profiles and blocking unknown users from sending them messages. While the problem won’t be resolved completely, MySpace has taken a more proactive role in ensuring the safety of its younger participants. Of course, MySpace is not the only social networking site out there that is experiencing this problem. Craigslist has an adult services category that allows users to solicit adult-oriented services from site users. It’s really no surprise that prostitution rings conducting illegal activities would eventually take advantage of the favorable situation of anonymity on the web. It has made the job of cops so hard that some have sued the site for being the largest source of prostitution. Though Craigslist’s purpose for the category is well-intentioned, promoting free speech and a fostering an open-minded community, the Internet is the biggest magnet of unscrupulous characters, and it was only a matter of time before the situation would escalate into the eyes of mainstream media. Online file sharing has been happening since the early days of the Internet. But 2000 brought the first major lawsuit and take-down of a file-sharing service. Napster was sued by the RIAA (Recording Industry Association of America) for facilitating the transfer of copyrighted material in December 1999, and was finally shut down in July 2001. Other popular P2P services have suffered similar fates. The Pirate Bay, a torrent-indexing site, has been involved in a number of lawsuits. The site’s servers were raided by Swedish police in 2006. In 2009, Fredrik Neij, Gottfrid Svartholm, Carl Lundstrom and Peter Sunde were all found guilty of "assistance to copyright infringement" in Swedish courts and sentenced to a year in prison and a fine of over $3.6 million. Iran’s election protesters and demonstrators took to Twitter and other social networking sites in the wake of the 2009 election to organize themselves and garner support for their cause. Though the situation precipitated out of the web, it was escalated and brought to mass media attention via the Internet. In February 2009, Facebook altered their Terms of Service to allow them to use and retain any content posted to user accounts indefinitely and without limitation, claiming ownership of its user’s content once it’s uploaded to their site even after a user’s account is deleted. Unsurprisingly, this caused quite a stir among users. Others formed groups on the site itself, calling for the ToS to be reverted back. Facebook asserts that they never intended for the change to be that far-reaching, and that it was a misinterpretation of the new terms. Users weren’t buying it, and in the end, Facebook changed the ToS back to the original version, and has seen sought user input before implementing changes. Facebook has a strong policy against what they term "obscene" content, something most parents would embrace. But many mothers went crazy when photos of breastfeeding moms were removed from the site due to the policy of censoring obscene content. It sparked boycotts, user groups, and even a protest (a "nurse-in") at Facebook’s headquarters. The most popular group, "Hey Facebook, breastfeeding is not obscene!" has nearly 250,000 members. Facebook wouldn’t budge on the policy. In 2002, Heather Armstrong, aka Dooce (also the name of her blog), was fired for blogging about the company she worked for and some of her coworkers in a less-than-flattering manner. She’s possibly the first person ever fired for blogging, and definitely one of the most well known. There’s even a term that spawned from her experience: dooced (which means to lose one’s job because of one’s website according to Urban Dictionary). Since being fired, she’s turned Dooce into the sole source of income for her family. She was even named as one of the most powerful women in media by Forbes. The site still drums up plenty of controversy, as her posts are brutally honest. It’s unlikely the Internet will ever be controversy-free. And would we really want it to be? Many Internet users enjoy (at least in part) the controversy that is so prevalent on the web. We all have a chance to be heard, whether it’s in matters of global importance or the latest celebrity gossip.